We will customize an Ice Hockey necklace for your school or favorite team. 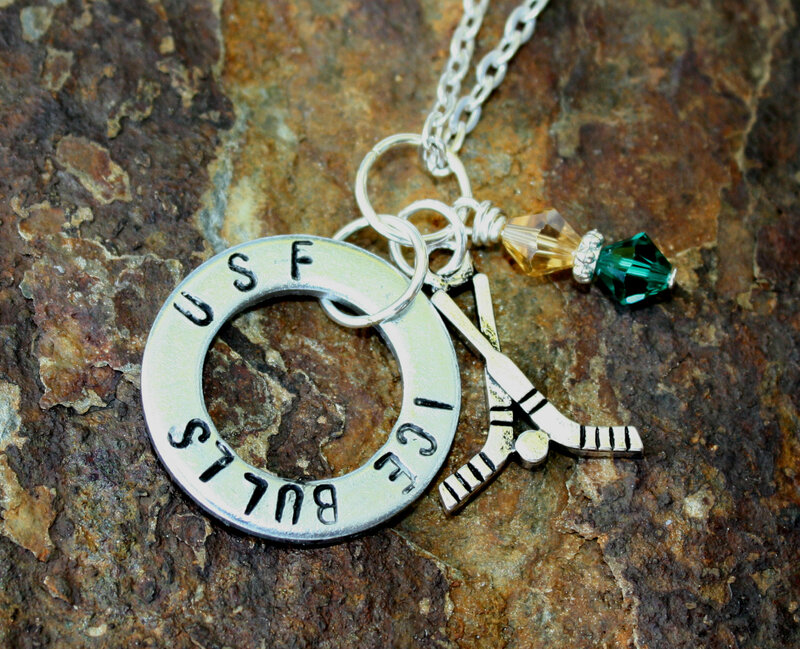 The round ring is custom stamped with the name of your team at the Top and the bottom says Ice Hockey. 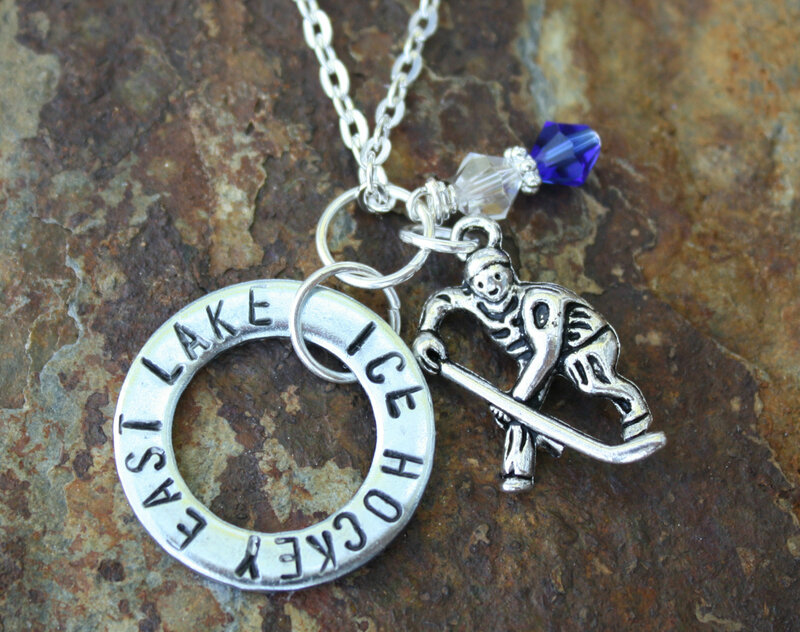 An Ice Hockey charm is attached and you can choose between Ice Hockey sticks or Hockey player. We will also add Swarovski crystals in your team’s colors.